So you have added a lesson to your course, but now you want to delete it, and you are thinking of deleting this one and add a new one. Well, say no more. I will show you how to do that, like, right away. Now go to the course, from which you want to delete the lesson. 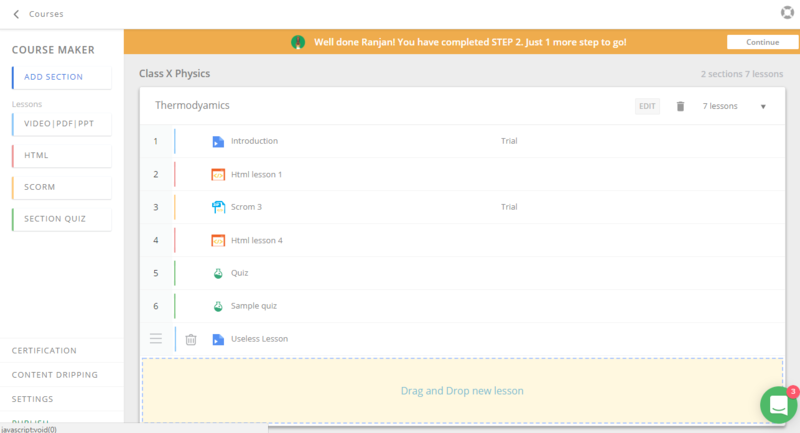 When you hover your cursor over the lesson you want to delete, you will see a Trash can icon on the left hand side, as you can see in the image below, next to the useless lesson. 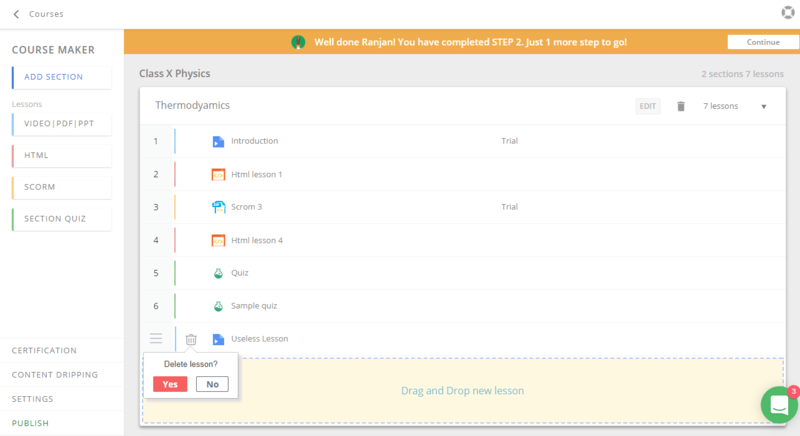 Click on it, and you will be asked if you want to delete the lesson. Click "Yes" if you want to delete it. And it will be deleted. Yes it is that simple. Note: If you delete a lesson from a course, it can not be reversed.